This year we were encouraged to get the gift list out early. Doing so, individuals and congregations could better plan how they could help other Seventh Day Baptists around the globe respond to needs and minister with the love of Jesus during this season of remembering the greatest gift of all, our Father’s sacrificial love for us. 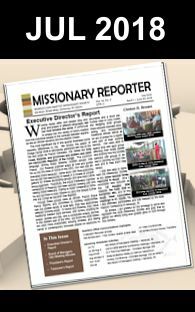 It is hope that you will prayerfully consider how the blessings you have received may help you be involved in God’s ministry through the Missionary Society. And remember, if you send the gift in the name of someone else, we can contact that person with a thank you letter letting them know how their gift was put to use.